Carnival Cruise Line has released a virtual tour of Carnival Panorama, the third-vista class cruise ship which will arrive in December 2019. Carnival Cruise Line has released a new 3D virtual tour of Carnival Panorama which is the newest cruise ship arriving later in the year. We get to see all the highlights of the ship in a detailed video which takes viewers inside and all around. The video which lasts for four-minutes is hosted by Emma Nixon who will be the ship’s cruise director. She takes us on a tour of all the features including the industry first Sky Zone trampoline park, the recently revealed Choose Fun WaterPark, SkyRide, and all the other public spaces. Nixon also teases Carnival’s first interactive culinary studio, the cruise line will reveal further details about that at a later date. Entertainment venues include Piano Bar 88, Limelight Lounge which will be home to the Punchliner Comedy Club and the main theater named Liquid Lounge where guest can enjoy all those Playlist Productions. Dining venues include the steakhouse named Farhenheit 555, family-style Italian restaurant Cucina del Capitano, JiJi Asian Kitchen, Alchemy Bar and Bonsai Teppanyaki. W, get to see the ship as a whole and is the best was to see what Carnival Panorama will be like before being completed. She is currently under construction at the Fincantieri shipyard in Italy and will debut on the U.S. west coast with a special three-day sailing from Long Beach, California on December 11, 2019. 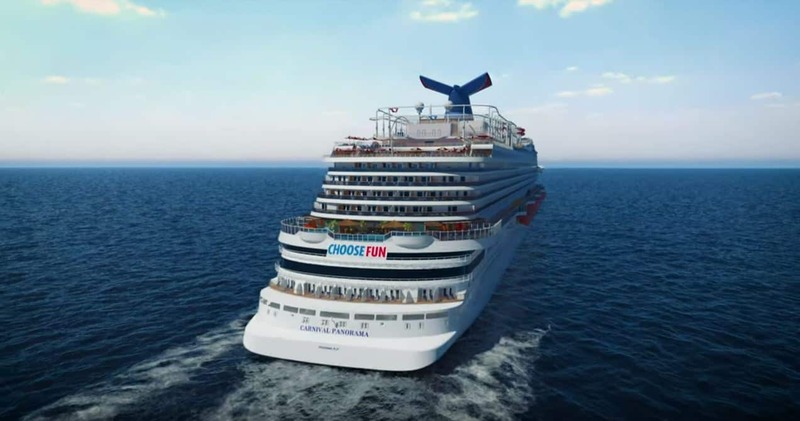 On December 14 the new Carnival cruise ship will begin year-round seven-day cruises to the Mexican Riviera including calls at Cabo San Lucas, Mazatlan and Puerto Vallarta. Carnival Panorama will be the third Vista-class ship and sister to Carnival Vista and Carnival Horizon. She will be 133,500 gross tons with a guest capacity of over 3,900 at double occupancy. Find out all the ways you can enjoy a Carnival Conquest cruise along with tips and things to do onboard the Carnival cruise ship. Carnival Cruise Line is expanding its youth program thanks to an exclusive partnership with Zumbini. The program includes singing, dancing and playing.